On December 16, 2015, the nation observed the first death anniversary of the APS attack victims. Right now, the country is reeling from the attack on Bacha Khan University. We have suffered multiple disastrous assaults, yet the government remains unconcerned. It still has not taken any concrete steps to implement the National Action Plan. Various measures had been taken to combat the likelihood of another attack. Security had been beefed up, children had been trained on how to react, school timings had been changed and special instructions were delivered. But these were interim and private measures. Has the government taken any long-term measures to address terrorism? Sure, the Army has taken Operation Zarb-e-Azb to new heights and military operations are still raging in several parts of this country. But that’s purely a military effort. What has the government done to deter extremists and de-radicalise certain elements in society? While reading about the APS attack, I was mortified to learn that a cleric at a mosque had been a facilitator of the attack. What’s more shocking is that he was employed by the government. That makes the government of Pakistan implicit in the death of 144 people. It is a fact that should make all our government officials shudder and repent. Repentance, however, has not come in forms that the Pakistani public can appreciate. I fail to understand why the government has been unable to identify the problem areas in our fight against terrorism. Our mosques need to be reclaimed and reorganised. We need to have a clear policy regarding the establishment and operations of mosques all over the country. In addition to this, we need to specify the role of the imam and the maulvis at the mosques. Dr Israr Ahmad often stressed that an average Muslim needs to be able to function without maulvis. According to him, a father can carry out the marriage ceremony (nikkah) of his offspring and a son can lead the prayers of his father’s funeral. We do not need maulvis for these tasks. Our dependence on them has made religion a business. Maulvi’s and imams are now entrepreneurs. And that too powerful ones! Since religion is a business now, the seat of the imam of a local mosque is a very lucrative and powerful position. This is why the organisation of the mosque needs to be regulated. Javed Ahmed Ghamdi has also spoken in favour of the nationalisation of mosques, which in essence is how mosques are supposed to be in Islam. In recent years, campaigns have been initiated by the civil society about ‘reclaiming our mosques’. However, little or almost no substantial support has been given by the government. Our officials need to realise that these are important measures to combat extremism and should be taken up urgently. Now that I have identified the problem for our guileless leadership, let me help them out with the drafting of the policy as well. 1. A single mosque for all sects in a neighbourhood should be promoted. 2. Where a single mosque is not possible, one that caters to all sects should be built in every district of cities. When we have no issues with praying next to all sects in Masjid al Haram and Masjid-e-Nabawi, then why not in our own country? The Ismaili and Bohri Jamaat Khanas are places of worship and provide a space for social interaction. That’s what mosques are for, building relations within the community. 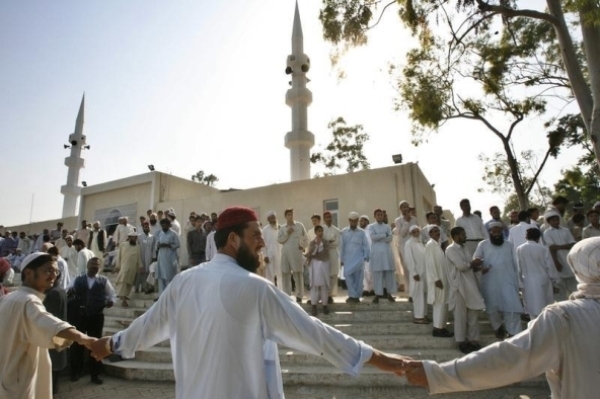 If all the sects are going to one mosque, it would be difficult to incite sectarian violence. We need to create an atmosphere of community at the mosques. In recent times, people rush in to pray and rush out as soon as they are done. Because of this, the mosque is no longer an effective public space. This is partly due to our fear of mosques. After several mosque bombings, we are conditioned to leave its perimeters as soon as we can. We can no longer allow our mosques to stay dangerous. It is urgent that we recondition them to become the safe spaces that they are meant to be. Mosques allow us to connect with those around us, irrespective of their social, financial, cultural and religious backgrounds. We have never been this divided and isolated from one another. 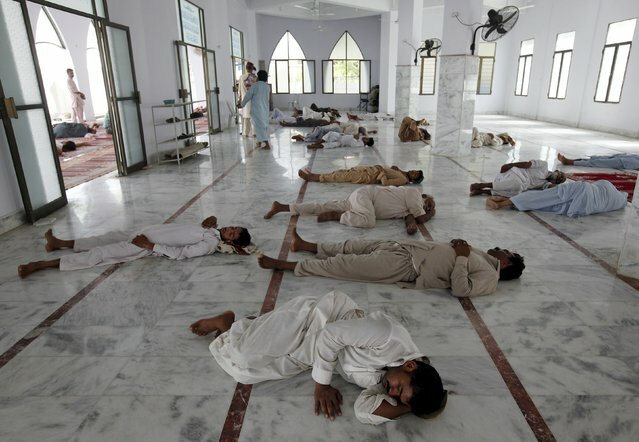 Pakistan needs its mosques to integrate its Muslim population. Collective efficacy – does that ring a bell, dear policymakers? Let me delineate some more points of policy for you. 1. Every mosque should have a female section. Let’s allow women to play leadership roles at the mosque. A woman in the UK recently led the prayers of a mixed congregation. It’s time we welcome back our women into religious public space. 2. All the main mosques of a town must have a library inside, or next to it, with not just religious but also books from a variety of disciplines. This is necessary to convey the message that Islam encourages and promotes education and progress. And of course, the imams should be literate enough to run these libraries effectively. Mosques should be centres of knowledge, not fear and extremism. 3. The government should appoint the imams, after strict background checks. These imams should be considered public servants with good salaries and other facilities. Their salaries should be according to their educational degrees and research. An educated imam means educated followers. 4. The sermons at mosques should be monitored. There should be a standardised guideline for sermons that details things they can and cannot say. This needs to be done in order to curtail hate speech and extremist ideas. 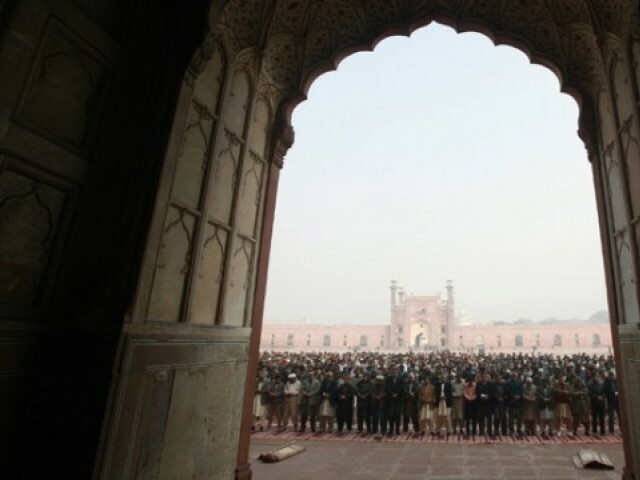 Moreover, all sermons at Eid prayers must be the same in all the main mosques of the country. When each town, and ideally each neighbourhood, has a mosque like the one described above, people will not have to send their children to madrassas with militant ties. Each child would be taught the Quran by a responsible teacher who would not instigate the student and preach a violent cause. This is what is needed, immediately, so that another cleric at a mosque does not facilitate the slaughter of 144 lives or give refuge to terrorists. Dr Israr Ahmed has said many other things as well like on ”interest”(sood) which is destroying our economy. talks attentively, for you seem to be confused. My advice to the author would be not to indulge in the subject of organising a mosque, the house of God or the role of clerics in giving sermons to the believers. She is too young and indicates a very limited knowledge of the religion of Islam and the role of clerics and Imams in the houses of God. Let Dr Israr Ahmad, whosoever he is explain his thesis and defend it too. I agree with most of what the writer has suggested but there are a couple of suggestions, one of which is in direct opposition to rules of Islam and on the other suggestion, there is no clear consensus of Imams. The appointment of Imams by Government is not Islamic in any sense. Any one could lead the prayer; the only condition is that he should be better in Taqwa (Muttaqqi) than the rest in a congregation. According to Islam, no prayer leader was to be “employed”, or to be paid for his services. Imamat, is not a profession. Khulafa-e-Rashideen, too, had other means of income or used to receive the stipend for being a Khalifa. They neither received nor demanded money for Imamat. A nice and balanced article, though encouraging mixed congregation prayers was a good idea. If no male Imam is available women may lead prayers, but to women only. There are many other leadership roles for women in the mosque. If we follow your chain of thought, then we have also abandoned our government. Everyone wants to be a businessman or leave the country. No one wants to be a honest government official. Yes, it is difficult, but that is how things are changed. Men and women are not completely separated in Makkah. How do you explain that? And what do Dr. Israr’s views on men and women have to do with the national policy on mosques as part of NAP? If the police then picks her up on a charge of agitation and blesphamy then she should not squawk on the world media against the religion clerics. I would give the same advice to you as well and your cahorts if you carry similar views about the religion of Islam which has no relation with violence. The god of Ibrahim gives no right to his creation beyond the use of brain to follow his commands. No critique. One believes or stays outside the limits. The worst profession for a human is to become the devils advocate by prosecutig and defending or announcing judgments depending upon the employer whereas the most honourable and the oldest profession being of those who preach and spread the word of god. Honour them and give them the respect they deserve without any provokation. I am not a preacher and like you under no obligation to follow their sermons. It is not the ignorance which causes havoc- your term but the one who acts as the devils advocate and promotes the communist doctrine of government control over peoples activities including their faith. Our reliance on Maulvi? Obviously, when most of us cant even recite the Quran in a proper manner, we indeed have to rely on “Maulvi”. When most of us are unaware of even the basic “masail’ of the fundamental rituals and ibadaat of Islam, let alone the greater intellectual areas of fiqh, we indeed have to rely on “Maulvi”. Most of us are of the view that we should not be dependent on Maulvi for our deen, but has any of us done anything to equip ourselves with such knowledge and character that can make us independent, at least in terms of daily routine rituals? Being Maulvi does not mean just leading the prayers, funerals and marriages. It requires the person to undergo a rigorous procedure leading him towards the equipment of the thorough and deep knowledge of Quran and Sunnah that could guide you in every, EVERY, aspect of life, and that obviously requires commitment, devotion and sacrifices (which most of us do not want to make).